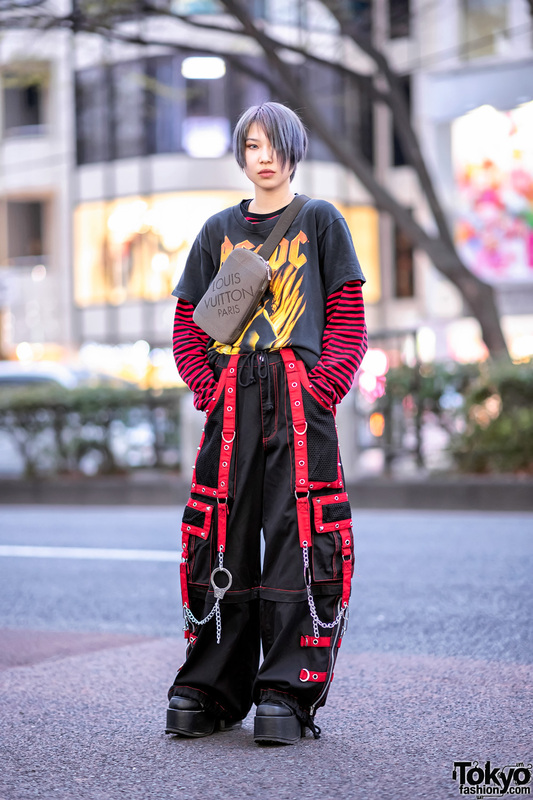 We met Koume and Nao on a busy street in Harajuku. 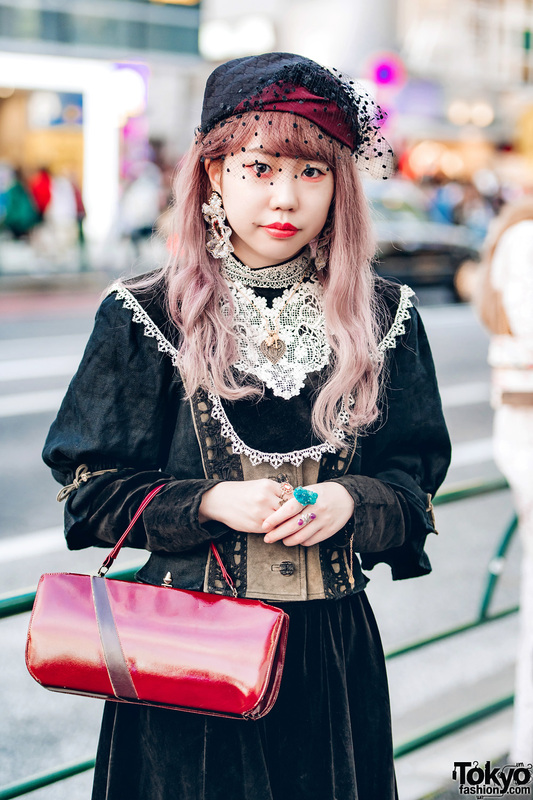 They stood out from the crowd with their vintage and antique Japanese street styles. On the left is Nao with pale pink hair, a 19-year-old part-time worker, whose ensemble consists of a black Barrack Room short sleeve jacket with a brown front panel and lace trim details, and a long sleeve velvet dress from Gunne Sax which features a front velvet and lace bib. She added red velvet socks over white polka dot embossed stockings, platform bow shoes from Tokyo Bopper, and a red Grimoire long handbag. Her accessories include a pillbox hat with a birdcage veil, statement lace earrings, a heart pendant necklace, and multiple vintage cocktail rings. Nao’s favorite fashion brands are Punk Cake Barrack Room. 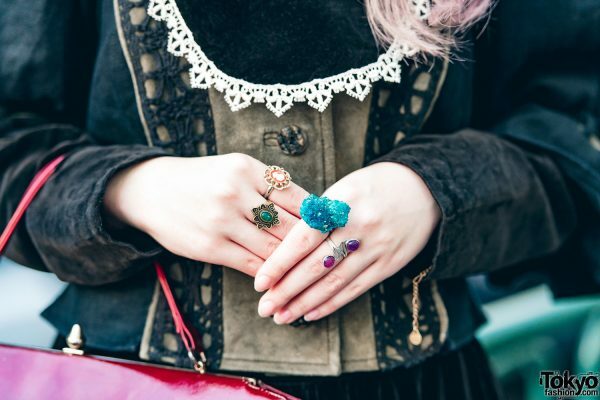 For more on Nao and her love for vintage fashion, follow her on Instagram. 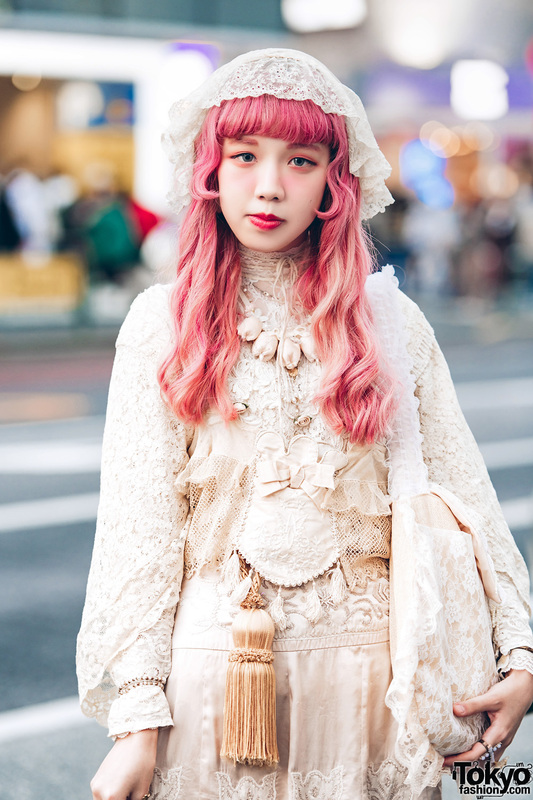 Meanwhile, Koume – a 19-year-old student with pink hair – is dressed in an all cream vintage lace fashion which features a layered long sleeve top and blouse, with intricate lace details and embellishments. Both are from Anutrof, together with a paneled lace skirt. Lace socks over lace stockings, and white platform cutout bow shoes from Tokyo Bopper completed her outfit. She accessorized with a lace headpiece, flower bud earrings and bib necklace set, a tassel belt, and multiple rings, some of which are from Freckleat. 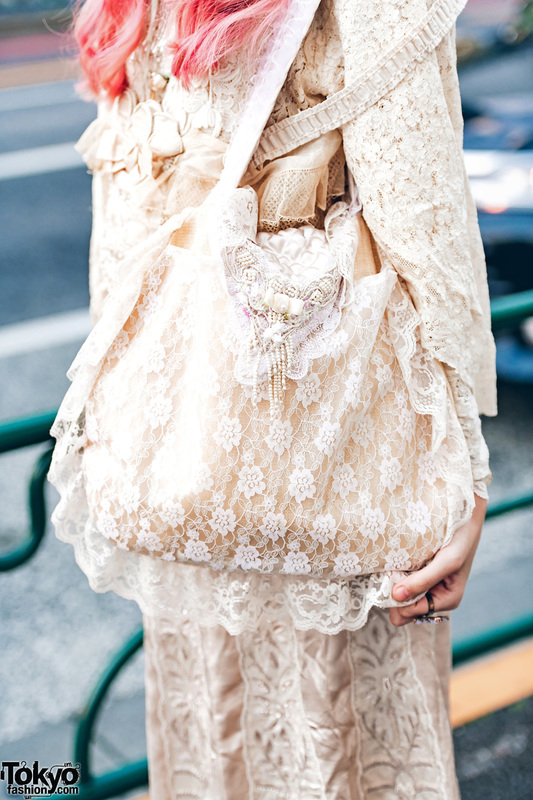 She capped off her look with a ruffle lace bag, also from Freckleat. 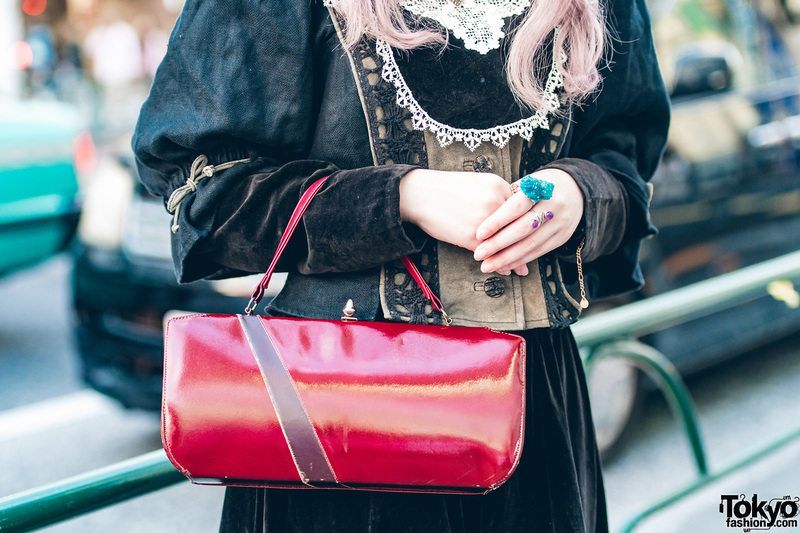 Koume told us she likes to shop at Barrack Room and Freckleat and that she enjoys the music of Seiko Oomori. Koume is active on Instagram and Twitter.